Hello!! Happy Tuesday everyone. Today I am going to share a project I made using my Designer Edition software on my Silhouette Cameo. Have I told you how much I love this machine? I truly do. I use it at least twice a week. It's a pure joy to use. So here we go! 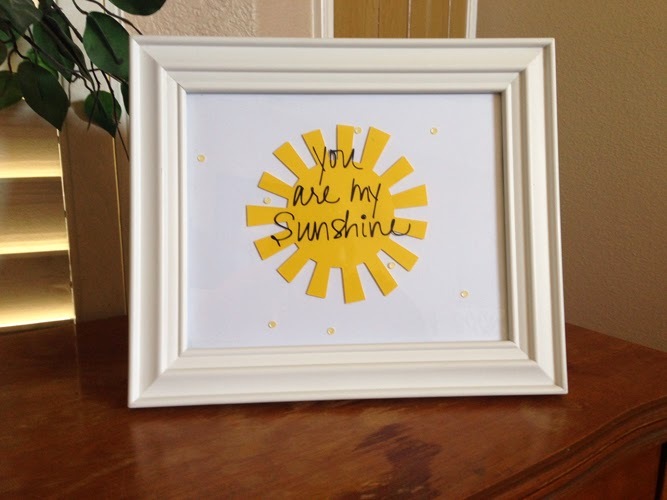 I bought a sun image from the Silhouette store and then using my own handwriting, created the sentiment. Good times!! Click HERE to purchase the software and be sure to enter the code REVIEW to get the deal!! Have a great day! !